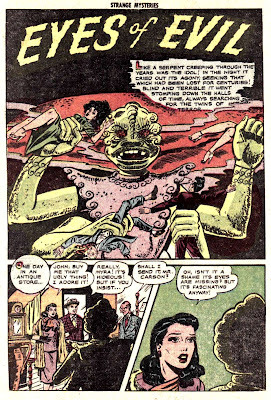 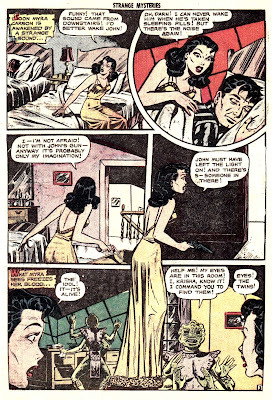 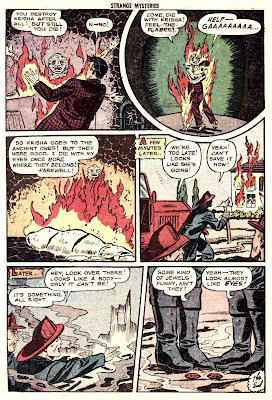 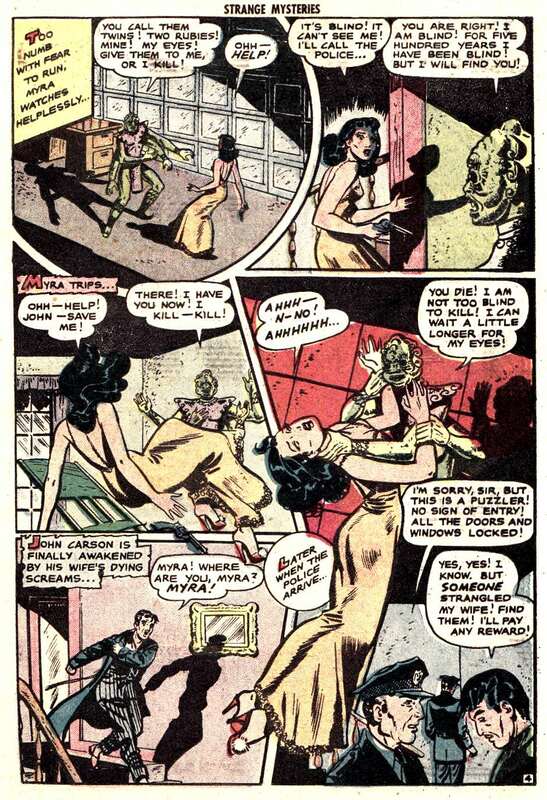 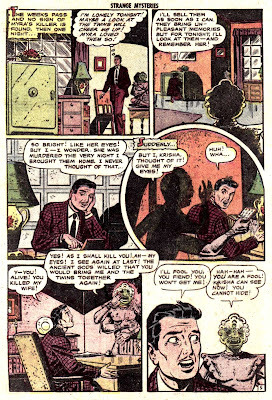 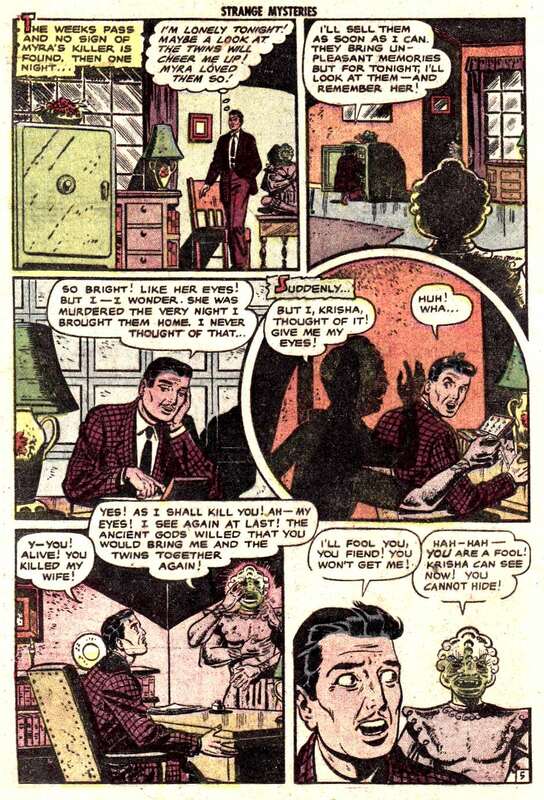 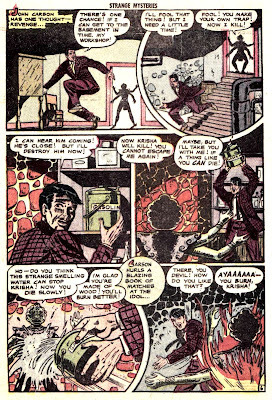 Bet you didn’t know that 10 years prior to becoming the huge TV star of The Tonight Show, John, aka Johnny Carson (and his then pencil thin mustache) got a break starring in precode horror comics! 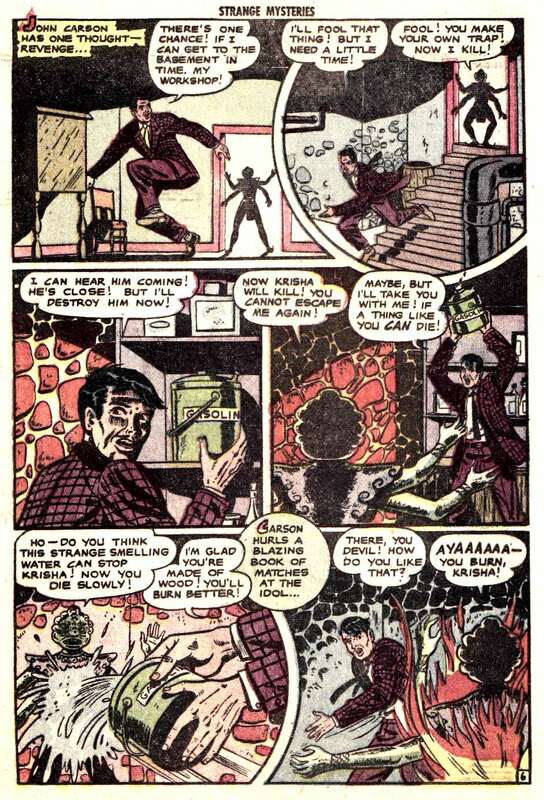 *buh-dump! 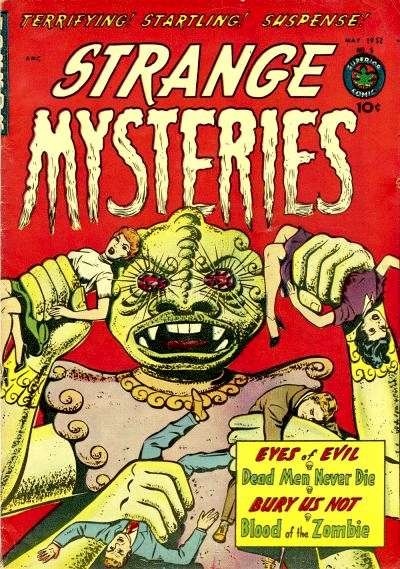 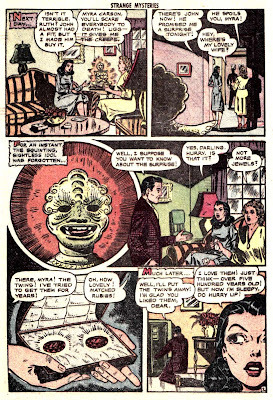 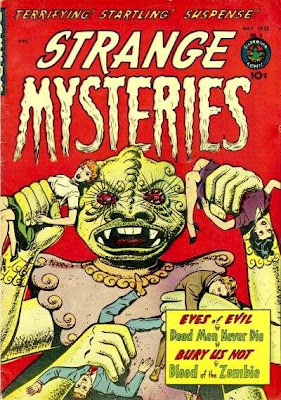 * Typically goofy Iger Shop fun with a cutely illustrated female character– GCD has this incorrectly listed as “Eyes of Horror” –from the May 1952 issue of Strange Mysteries #5.